I've been trying to make an Ubuntu All In One (AIO) live DVD for quite a while now. 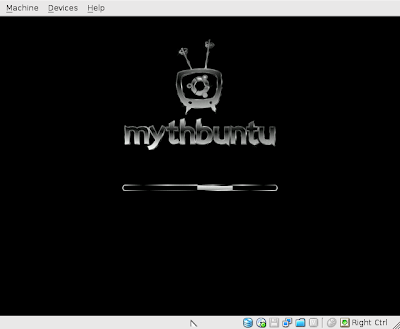 You can follow my progress (or lack thereof) on this thread at ubuntuforums.org. Despite various attempts, about 15 physical "coaster" DVDs, I have not managed to succeed; until I read this post about (not-very-aptly-named) Grub4DOS. This gave me the clue that I needed to create the UbuntuAIO Live DVD of my dreams. You can also take a peek at this video showing off the Ubuntu AIO Live DVD. In a later post, I will put details on how to make a custom Live DVD, though it's really laughably simple; it just involves copying the live ISO images to a single directory, then creating a relevant "menu.lst" file and copying it and "grldr" from Grub4DOS to the correct locations. This directory is then converted to an ISO image that can be burnt to DVD. Exact details here. Did you try to install one of the Ubuntu-distributions? I found this magazine a few weeks ago & it had 2 DVD copies of the "Ubuntu Family 9.04." One DVD is 32 bit, the other 64 bit. Do you have an .ISO available for public download?